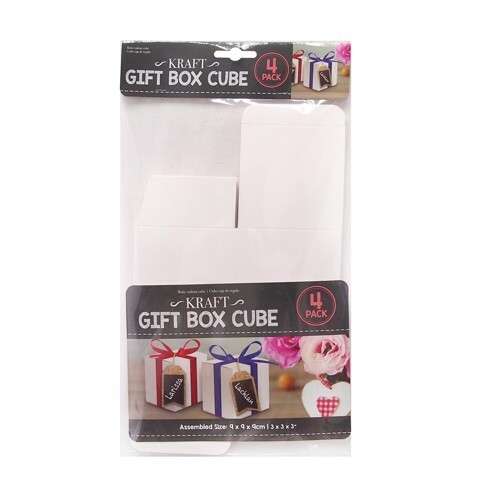 Giftbox Cube 9X9X9Cm 4Pk. Assembled Size: 9 x 9 x 9cm. White. 400gsm Paper. 0 Packaging: OPP Bag with Hook + Coloured Insert.